The Shakespeare Center of Los Angeles (SCLA) presents its 23rd Annual Simply Shakespeare benefit reading of “The Two Gentlemen of Verona,” September 25, 2013 at The Broad Stage, Santa Monica. 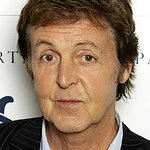 The evening will feature a star-studded cast including Sir Paul McCartney, Tom Hanks, Rita Wilson and William Shatner. Additional participants will be announced. Simply Shakespeare features a hilarious and entertaining evening of impromptu Shakespeare and song. All proceeds from the event support the SCLA and its arts based veterans employment and youth employment programs for inner-city youth and arts education in local schools. Since 1985, The Shakespeare Center of Los Angeles has been a vibrant hub of unique programs, performances and events designed to make Shakespeare accessible and engaging to all. SCLA continues to build community through its innovative outreach programs including “Will Power to Youth,” an academic enrichment program that combines hands-on artistic experience with paid job training and arts education for at-risk youth. The program has been nationally recognized for its effectiveness in reducing high school dropout rate and delinquency. SCLA’s “Veterans in Art” program represents an innovation in veterans programming that explores how the arts can contribute in a meaningful way in the efforts to assist veterans to recover and reintegrate into mainstream civilian life. This summer’s “Shakespeare Under The Stars” professional production of “A Midsummer Night’s Dream” incorporated a full veteran workforce and continues to offer free tickets to active military, veterans and their families and care givers. The SCLA Simply Shakespeare reading of “The Two Gentlemen of Verona,” is made possible by the support of its premiere sponsor Entertainment Industry Foundation and benefactor sponsor Deutsche Bank. Sponsorship packages begin at $6,000; tickets, $1,500. For event information, contact Lauran@LPAevents.com. For SCLA information, visit www.ShakespeareCenter.org.